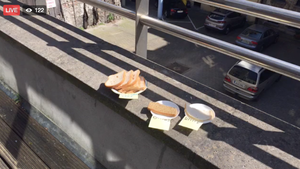 It is running a live video to see which bread seagulls choose first. Gluten-free bread (on the far left), brown bread (in the middle) and white bread (on the right). 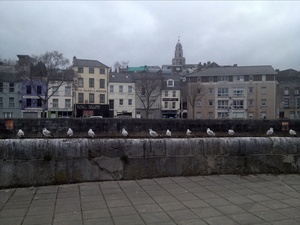 Posted in Misc and tagged bread, Entertainment.ie, Seagulls at 3:56 pm on May 10, 2017 by Broadsheet. Someone published an intrusive video of a severely distressed woman. It was so humiliating that she took her own life. Broadsheet, and Bodger specifically, thought they couldn’t quite get the humiliation across in words. So they republished the video. Later they withdrew it, while insisting that it needed to be seen. They’re still on Twitter, giving those “sorry you were upset” non-apologies. We all need to ask what we’re doing here. Just had a read of the Twitter feed. It does read very much as sorry (not sorry). Jesus wept – that’s awful. “in a mood”…internalised misogyny, much, bae? 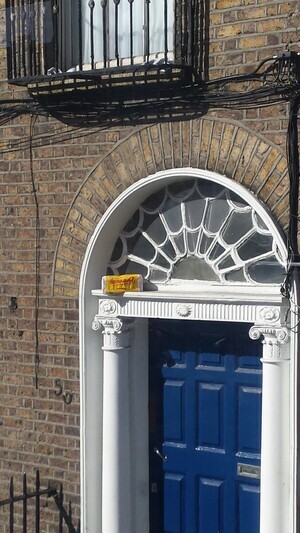 You can see why they put so much more gluten-free bread. Nobody’ll eat that muck. Maybe toasted, at a push. Everyone I know these days is into gluten. I’d rather eat food that actually tastes nice. I made some bread for my friend who’s a coeliac. Rotten. I’d prefer not to eat it. And, loike, it wasn’t my baking as I’m, loike, a totally excellent baker. Cept when the Child gets her little mitts on the oven, eh? I bet you’re still a bit cut up about those buns that burnt. She turned the grill on instead of the oven so it toasted the top twelve buns and the other 12 were just puddles. Why I oughta! And can you remember the name, by chance? Isn’t the whole gluten free thing an absurd fad for most people? Right up there with ‘going vegan’. I think intolerance of something in the food chain indicates you’re a special creature. Hence the popularity. Bread’s not good for birds. I really don’t understand why people hate on the journal so much round here. They are two completely different sites. The Journal is a news outlet with a fair amount of clickbaity type content, but mostly it just reports news in a fairly unbiased way. BS is a blog with a fair amount of clickbaity type content but its mostly a blog that is completely biased and skewed to one political leaning. Apart from the clickbaits and ability to comment, they are different things. I don’t disagree with you but I think it is the comments section that leads people to dislike the journal. The journal commenters are 99% stupid and ill informed and don’t even read or try to comprehend the articles, just post the same miserable ill thought out comments day after day. There’s a lot of the same here, but it’s a smaller proportion, for the most part there’s intelligence and wit in the comment sections here. Gives me something to aspire to. I think you’ll find its just preference and snobbery. you think you’re smarter than a Journal commenter but you’re clearly not, as you’ve passed judgement on them like an bottomhole. no I’d lump myself in with the great unwashed of the journal, hence the aspiration in my last line of the above.